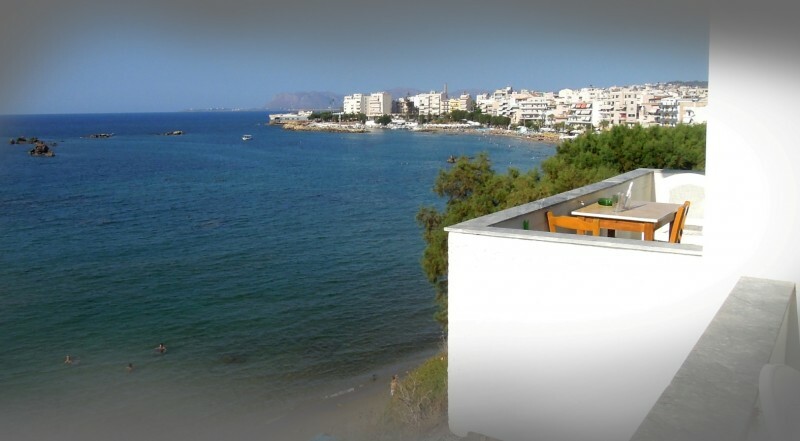 Klinakis Beach Hotel is located in the center of Chania, the north-eastern city of Crete. Crete always remains a place with rich folk tradition and Cretan people are well known for their hospitality. Klinakis Beach Hotel is a family run hotel that welcomes people all around the world since 1990. Based on the full sea view rooms with balcony, spacious, sunny and airy rooms, someone can enjoy the luxury simplicity of vacations by the sea, in the city ,by the waves in a low budget. 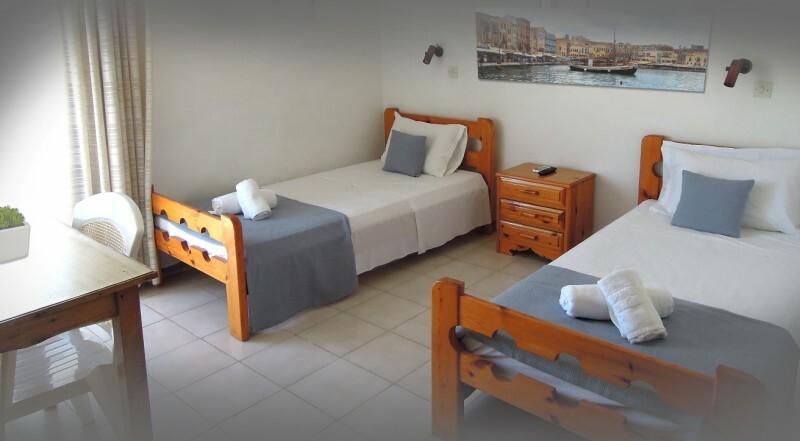 All rooms have their own private bathroom, air-condition, television, fridge, electronic Safety box (laptop size) and Wi-Fi which are available in all rooms free of charge. In the morning, breakfast is served at a buffet within the new ground floor area of the hotel, where someone can taste freshly, delicious handmade food, based on Cretan recipes and Mediterranean cuisine. During the day this area is working as a modern cafe and at the sunshine time until 23:00 you can enjoy a cold Greek beer or you may taste a nice glass of good Cretan wine, selected with extra care and knowledge by a well-known chevalier. 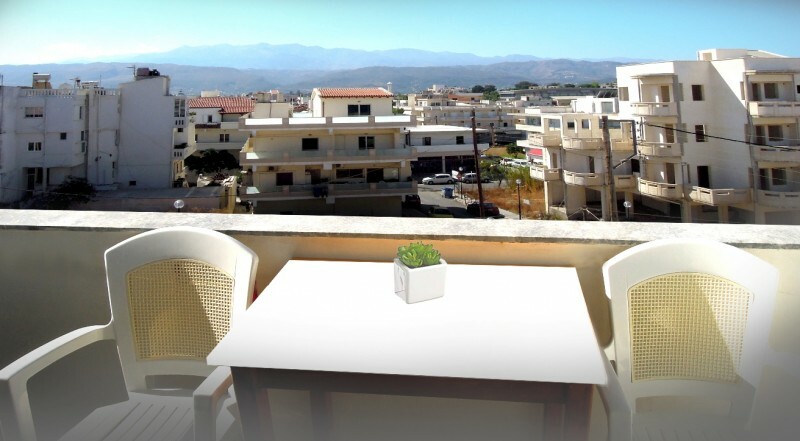 With a convenient location just 800 meters away from Chania center, Klinakis Beach Hotel guests enjoy not only the sandy beach in front, but also easy access to the commercial part and nightlife of the city, as well as access to the highway. Chania Airport and Souda Port are each 8 km away. It offers free public parking. 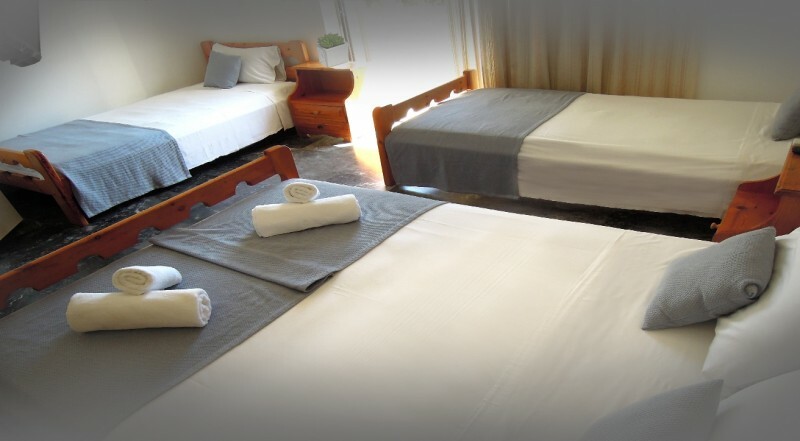 Each Standard Single Sea View room is a room with one Double bed. 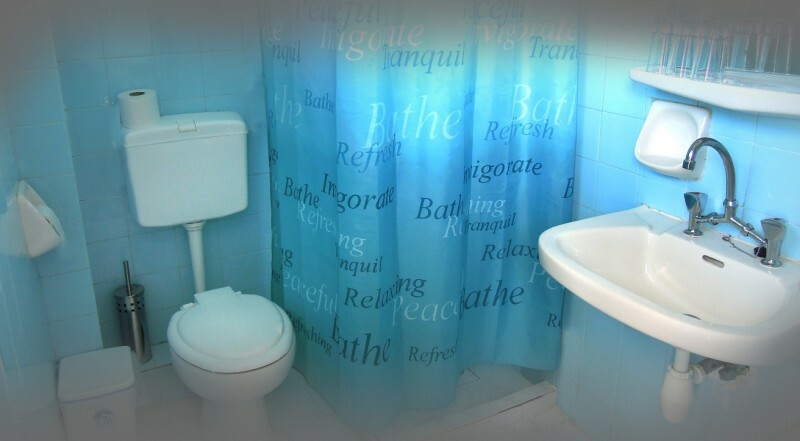 The room has a bathroom with shower curtain and a furnished balcony with a view to the sea. Each Twin beds Sea View room is a room with two single beds, bathroom with shower curtain and a furnished balcony with a view to the sea. 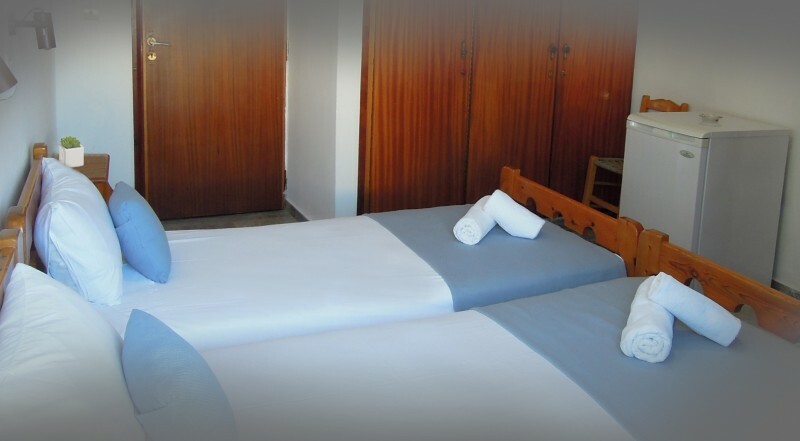 Each economy double room is a room with two single beds, bathroom with shower curtain and a furnished balcony with a view to the town. 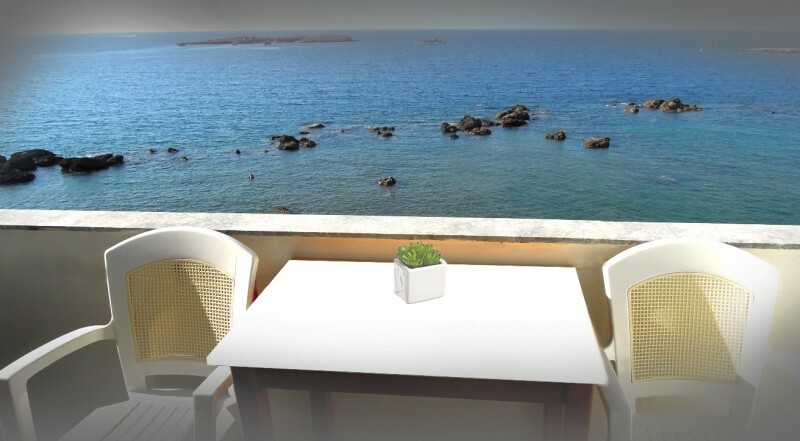 Each standard double bed sea view room is a room with a twin size bed, bathroom and a furnished balcony with a view to the sea. 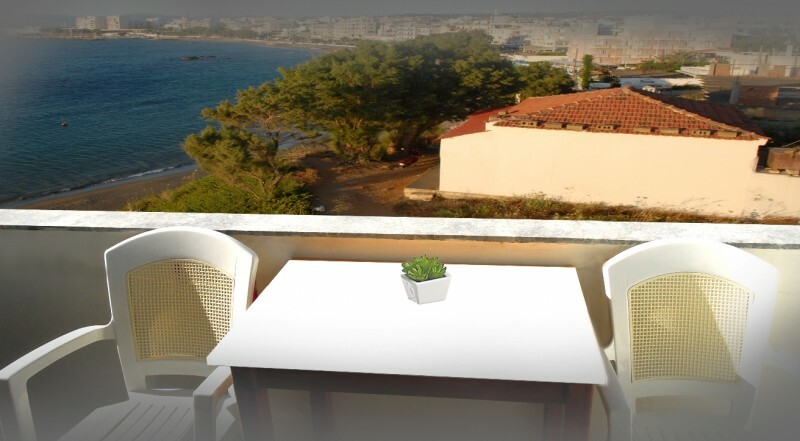 Each Twin with partial Sea View is a room with two single beds , bathroom with shower and a furnished balcony with a view at the sea and the town. 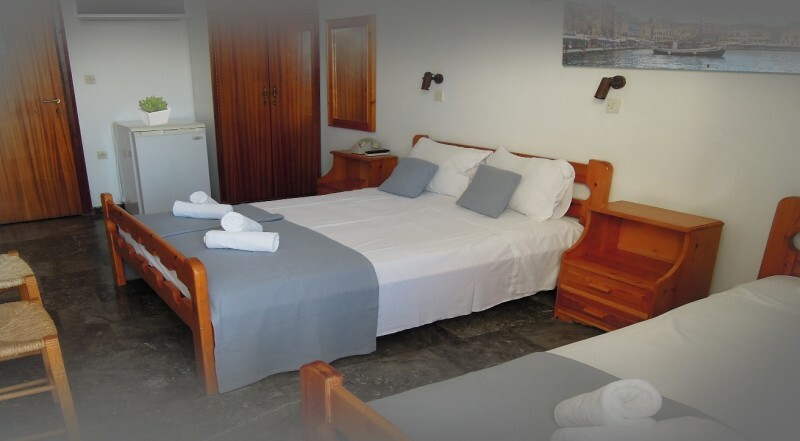 Each Double Bed Partial Seaview is a room with one double bed , bathroom with shower and a furnished balcony with a partial view at the sea and the town. 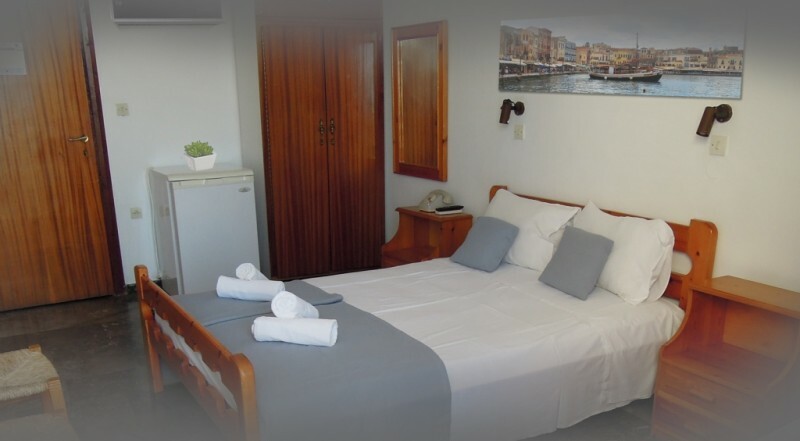 Each Double plus Superior Seaview is a room with a double sized bed and one single bed. 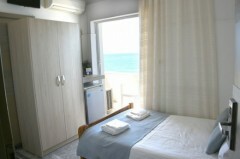 The room has a bathroom with a shower curtain and a furnished balcony with a view to the sea. 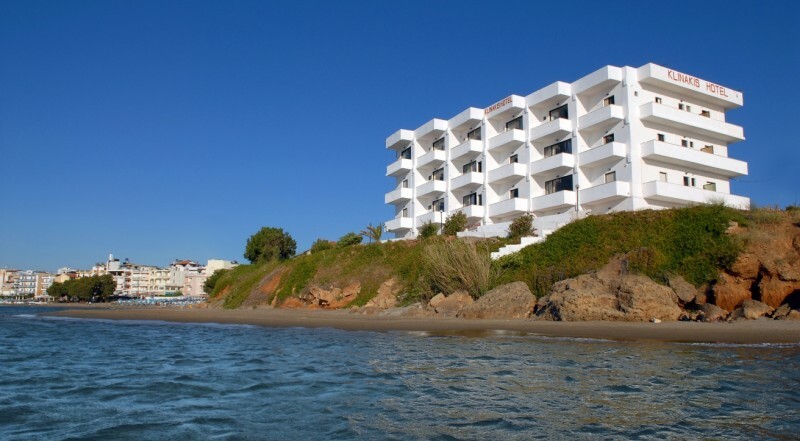 Each Triple Single Room Seaview is a room with 3 single beds. 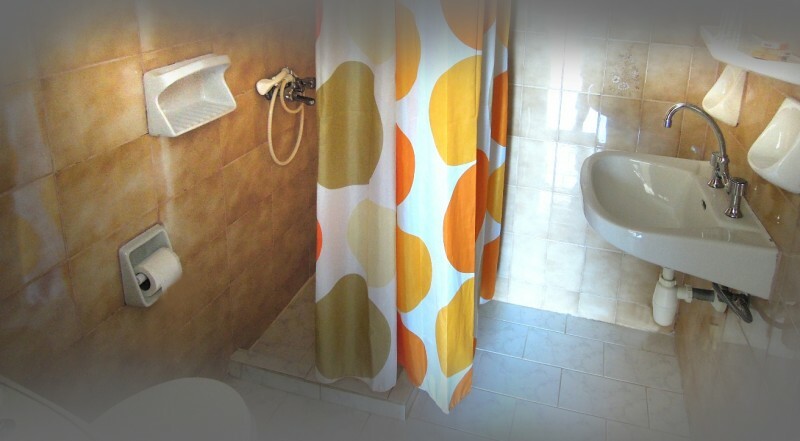 The room has a bathroom with a shower curtain and a furnished balcony with a view to the sea. Each Standard Family room is a room with a double sized bed and 2 single beds or 4 single beds to accommodate up to four persons. 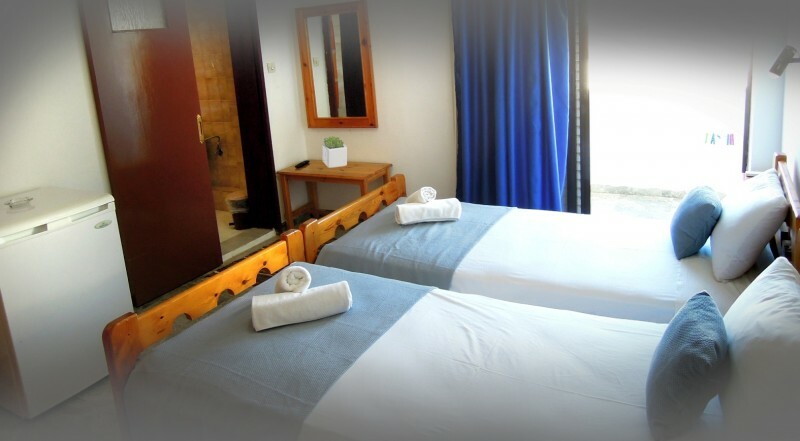 The room has a bathroom with a shower curtain or bathroom with bathtub and a furnished balcony with a view to the town. Each Family room with partial Sea View is a room with a double sized bed and 2 single beds to accommodate up to four persons. 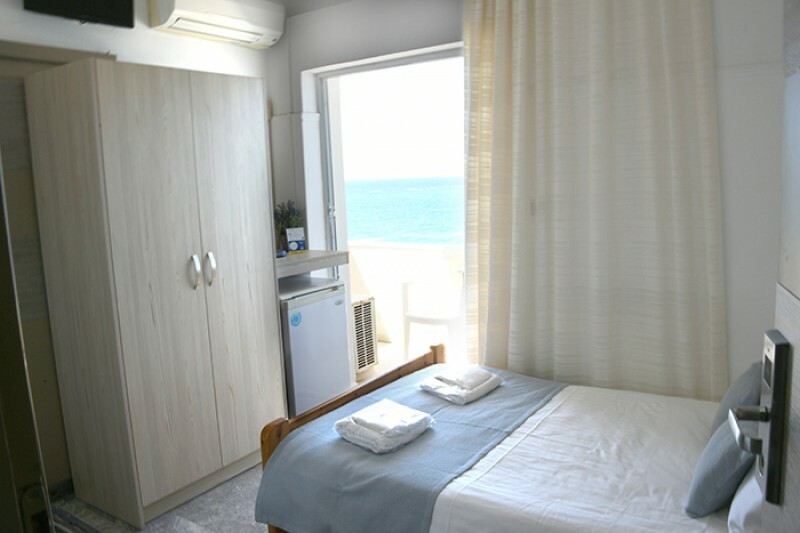 The room has a bathroom with a shower curtain or bathroom with bathtub with a curtain and a furnished balcony with a view to the sea. Each Standard Family room is a room with 5 single beds to accommodate up to five persons. The room has a bathroom and a balcony with a view to the town. ΠΡΟΣΟΧΗ!!! Στην τιμή ΔΕΝ περιλαμβάνεται ο Φόρος Διαμονής 0,50€ ανά δωμάτιο, ανά διανυκτέρευση και θα πρέπει να πληρώσετε αυτόν τον φόρο στο ξενοδοχείο.